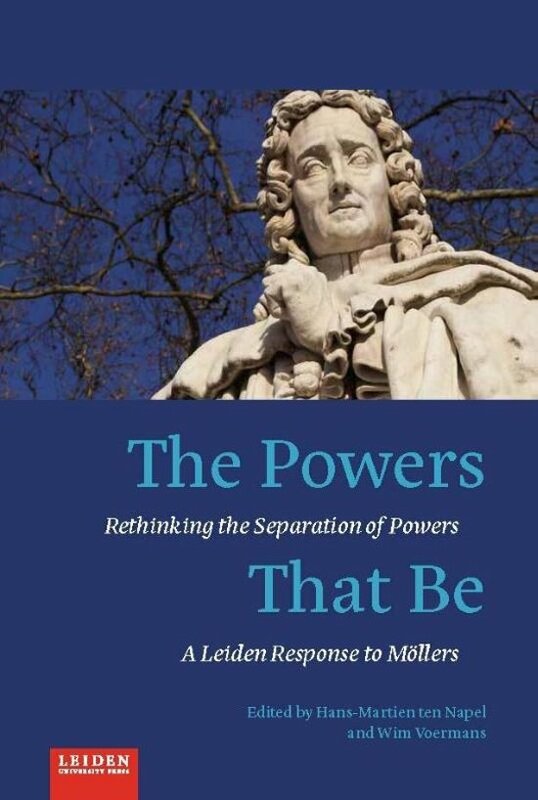 In 2013 Christoph Möllers published his impressive monograph, ''The Three Branches.A Comparative Model of Separation of Powers''. This inspirational book led to the idea to pitch it against both the agenda of us as researchers of the Institute of Public Law at Leiden Law School and our own insights, as well as that of fellow scholars in the field. Both democratic legitimacy and the separation of powers as concepts have very much evolved alongside the state. However, over the last decades the state has been giving up ground to other power holders, particularly international (and even supranational) actors. 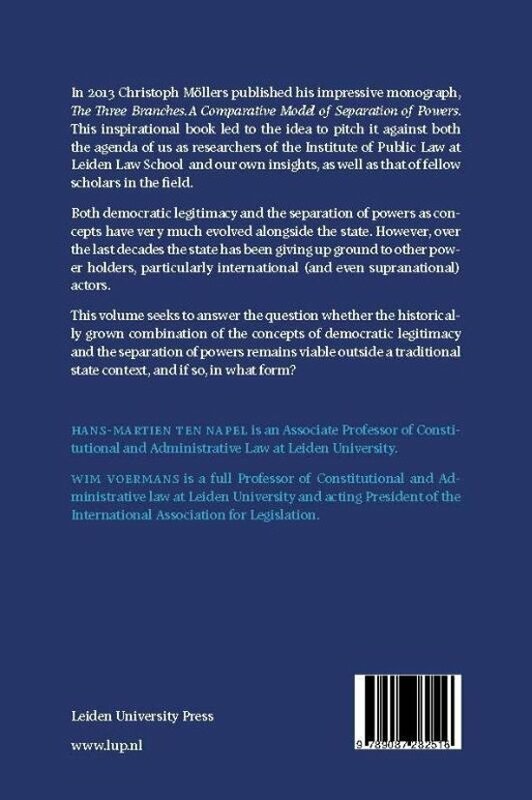 This volume seeks to answer the question whether the historically grown combination of the concepts of democratic legitimacy and the separation of powers remains viable outside a traditional state context, and if so, in what form? Hans-Martien ten Napel is an Associate Professor of Constitutional and Administrative Law at Leiden University. Wim Voermans is a full Professor of Constitutional and Administrative law at Leiden University and acting President of the International Association for Legislation.